Purchase wild Alaskan Salmon direct from an Alaskan fishing family! 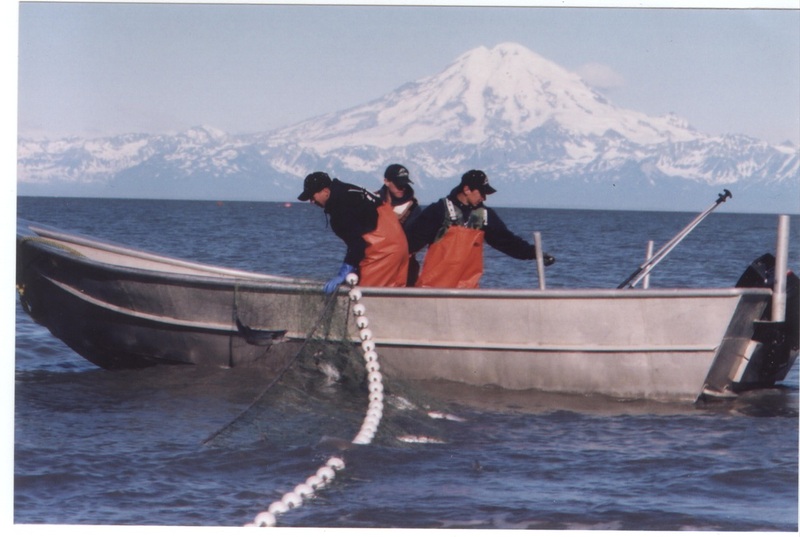 BEACH'M FISHERY is a small family owned setnet fishery, harvesting wild Alaskan Salmon the same way it was done over 80 years ago in the Cook Inlet Region of Alaska. The Chase family pride themselves in being among the first fisherman in the State to adopt quality harvesting methods. Not only do they produce a consistent premium graded product for their customers, but they also work hand in hand with the Alaska Department of fish and Game to insure that the health of our salmon runs come first. Brian, Elizabeth, Aaron, Caleb, Hannah, and ​Michael. (907) 262-3233 for current times, dates, and directions. Or go to our Free Tour page for a more complete schedule. For over 17 years we have been actively promoting direct sales to our visitors who come to our free tour in Kasilof. Due to the many request, this new web site was created to make it easier for you to check our current price list and to contact us with your requests. Go to our Wild Salmon Products page for more information. Every salmon we harvest for our customers is Hand Selected and iced on the fishing grounds to guarantee the highest quality that can be produced with a wild salmon run. Custom processed within 24 hours after each fishing period, every order is individually packed and prepared for FedEx overnight shipment. * Responsible fisheries management and sustainable fishing practices take care not to harm the fish, other marine plants and animals, nor the environment. fishing happens when too many fish are taken from the sea and there are not enough fish left to replenish the natural population. (For more information on that see our Q & A page). Alaska boasts having one of the world's few governments that is truly dedicated to sustainability. It's a commitment that dates all the way back to Alaska becoming a state in 1959, when Alaskans wrote sustainability into their Constitution - calling for all fisheries to be sustainably managed. In this way, Alaska promises to provide wild caught and sustainable seafood for generations to come.